I know Randy would be tremendously honored. No sir. Shot his way out of town after three seasons. Should be a great honor and high degree of difficulty. Love Moss, but I wouldn’t put him in. Voted YES. Transcendant player despite short stint. Will be hampered by the number of deserving dynasty Pats. I hear ya...my feeling is that in that one season, no other Pats WR ever sniffed his jock. LOVED fans wearing the Randy mask too! I say no. Not here long enough. Hate how he quit on the team his last season. We are fortunate enough that rings are a criteria and he had none. There are other NEPs who should be a higher priority than Randy. Deserving? I don't like how he shot his way out of town but Law pulled the same crap only BB kept him. Bill traded Randy because he saw he was in decline. There are multiple NEP HoF who do not have rings. Then again I’m not going on a passionate rant to keep him out. I’d say him and Pedro Martinez are the two greatest Boson players I’ve ever seen (Orr was before my time) from the standpoint of “is this guy human?” Gronk not far behind. Deserving, maybe. But, how many of these guys is he in over? Curran mentioned Chung as having a strong case the other day and I don’t even see him in. There’s a VERY VERY crowded field. I got to watch Orr. I was 7 his rookie year. I didn’t know much about hockey at 7. There's so many guys who played here longer that were instrumental to championship runs. Malcolm Butler for instance probably deserves it more. 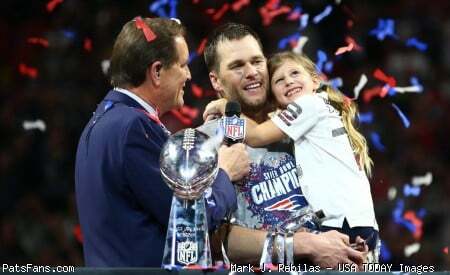 I’m fine with no rings, but I think the guys in the Hall should be guys that are Patriots. Hard to describe but even tho Rodney has a long career in San Diego he really established himself as Patriot as well (think KG and Boston and Minnie). Does anybody really think Moss and think Patriots? I don’t think being a great player that played here is worthy of being in the Patriots Hall. Short lived or not he was historic, and not simply because of the TD catches, but the impact he had overall. Moss is a legendary Patriot, he definitely should go in. I’ll admit, despite his shortcomings, I love Randy Moss. He’s been a great ambassador for the Patriots in his role on NFL network. I hate when other players steal that line from him too. Maybe, but on Induction Day BB will have him suit up, but keep him in the wings. Joe Namath is in Canton because of a guarantee. Despite the loss in the SB, which cannot be pinned on Moss, they had an unreal season, and he was a big part of that. I agree that people in general think of Moss and the Vikings, but he still deserves honor in Foxborough. I’m open to changing it up. What would you do two or three? Or maybe something else where it possibly changes depending on conditions. Its nebulous but I agree with you. Was Leon Gray a Patriot? You could say he shot his way out of town with his contract demands. You could also say Billy was a cheap f-er (which is true). The team ran on a shoestring budget back then and was not the financial Godzilla it is now.